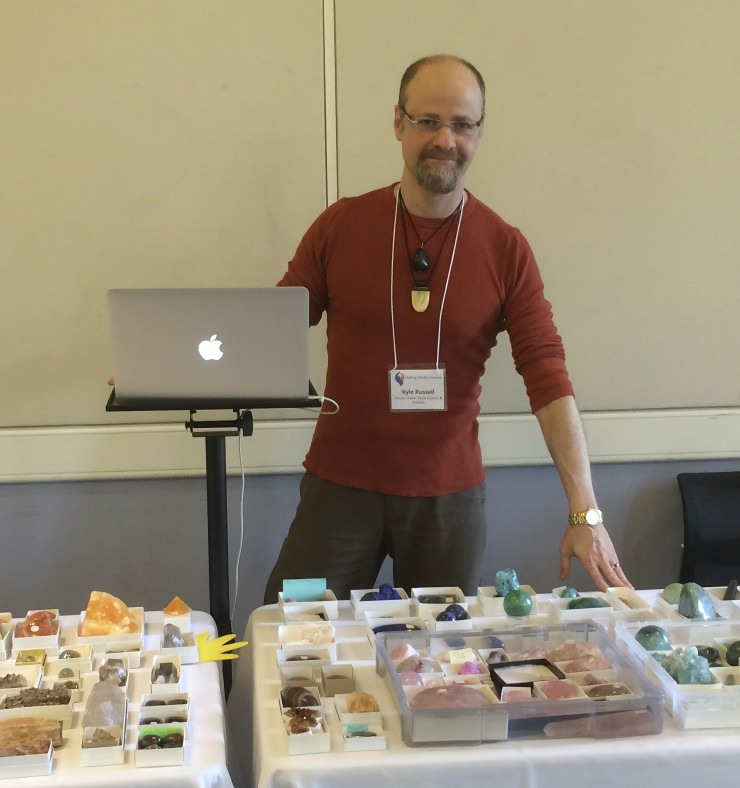 Such an important question – “How to Work with Crystals?” – with a hundred (and certainly more) answers out there…and only a limited amount of time (and space) to respond to the question…I have to choose my words carefully, which is why I’ve turned this into a blog, as a followup to (and companion to) the live webinar recently recorded (of the same name). I have numerous webinars and classes – they exist for you to get slightly different (but overlapping) views on what I perceive to be the truth. Hopefully, this (and they) will resonate with you. 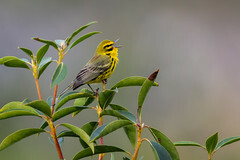 As I get myself increasingly out there, I have been pleasantly surprised by the responsiveness of folks in cyberspace. I got over 400 Joins to my Facebook event page (for the webinar), and you’ll see the number of Likes my Facebook page has gotten (below). But Facebook isn’t everything – I know that – and there’s not just one view of a great big Cathedral. You have to get a panoramic view of the inside and the outside – and even then – you couldn’t capture the essence of what goes on for the people who go there. The same is true for the metaphysical world – it’s especially true, actually – where subjectivity reigns over the objective, and individuality is rather appreciated. So read on, with an open mind. Take what you like, leave what you don’t…there’s enough to go around. The goal is to capture and tap into that vibrancy, participating in the presence and movement of essential Life energies. 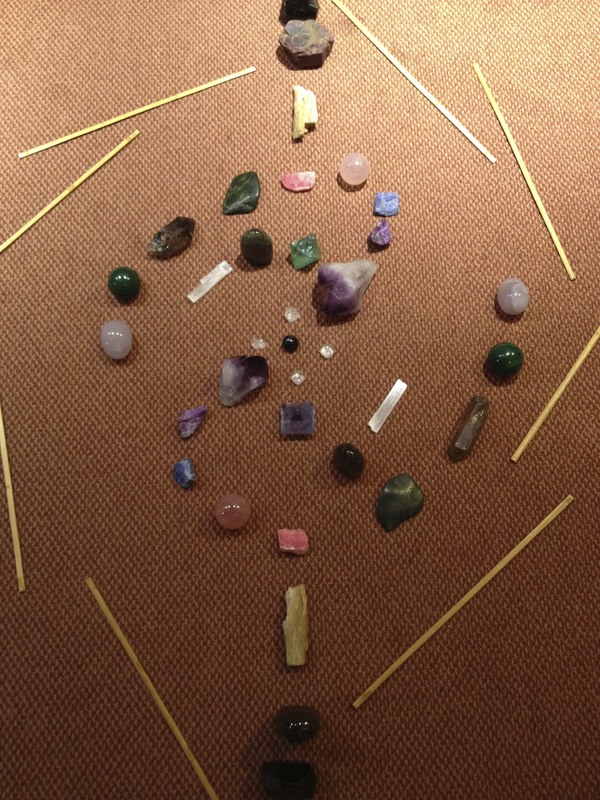 Each stone you pick up will give you a slightly different experience, or window into that universal flow. And then it becomes like a dance, as you move from limb to limb, like a nimble monkey on a tree…you know what to reach for…you’ll learn what does the trick. Working with Crystals is a bit like absorbing a new language. You can school yourself in it and you can be taught – by those with greater experience – who you relate to. But you are ultimately you’re own, best teacher. Just like with food and dietary awareness, you have to listen to your sensation, what resonates (and what does not). For people who don’t get it at all, this all can be a hard pill to swallow. They just don’t get it – and more than even indifference – they harbor a negative view (for whatever reason) of working with Crystals. An important part of my mission could be turning disbelievers into believers. It would be hard to walk them through the path I’ve taken, because some of what I’ve seen was for my eyes only. Some folks turn to science (or pseudo-science), to prove their point – but that’s not my focus. I don’t need to prove myself to anyone. Plus, I have way more fun with those who’ve already got an interest. Wouldn’t you prefer to teach Spanish to someone who’s actually came to your Spanish class – rather than to have to randomly accost folks the students from out of History – to “convert” them into caring about your coursework. As you become more fluent, it’s hard to go back, or want to try to teach people who are resistant – who’ve got no interest in learning the language. It’s possible as well, that they lack interest in pursuing any other self-development strategy. Funny how it happens, that closed is closed. And once the flood gates are open, people who are open to Crystals also find themselves open to Herbalism, Aromatherapy, and vice versa. Then is it true that “doubting Thomases” cannot gain any value from crystals? That’s a sad thought. But I don’t know that it’s even true. 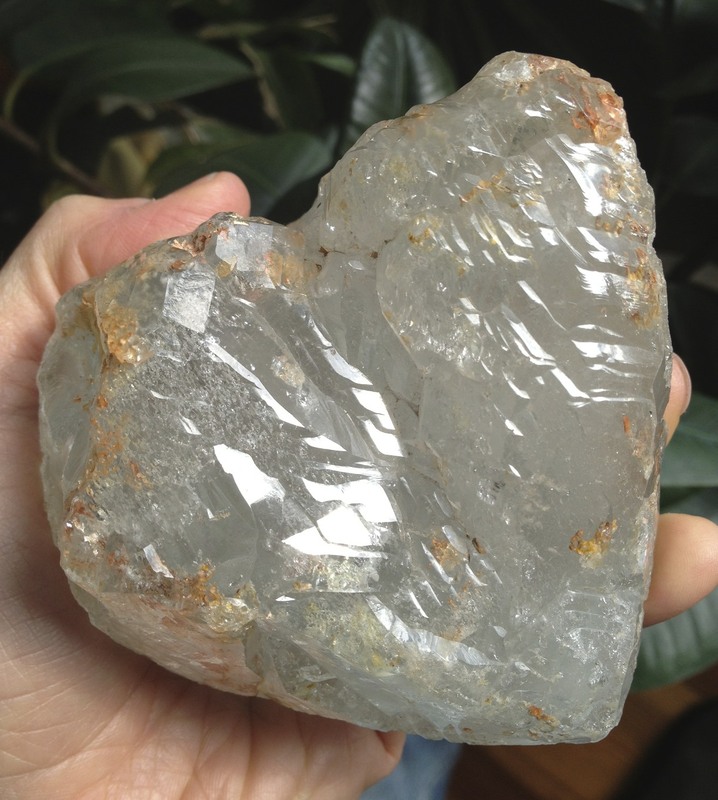 I believe that merely having them (Crystals) around – or having others work on you long distance (in spite of any resistance you might have) – could still result in some positive outcomes. Even if a healer’s efforts bounce back on them (because the patient is not willing) – some good is still coming from the transaction – and serves as cautionary lesson to those working with “the dark arts” (be careful what you project…let it only be positive). Hence the mirror in certain mythologies: to reflect negativity back on itself. Likewise, if you can stay “in the light,” you will always be blessed, even in your worst & dying moments (if that’s even possible to imagine!). My son was speaking once, to a religious leader – he said “I don’t know if I believe in G8D” – the mentor replied: “that’s okay, G8D doesn’t mind.” The sun still shines, whether people open their eyes to it, or whether it’s covered with clouds. Once you’ve seen it, it’s hard to pretend it’s not there (or to not want to work with it). There are dozens (certainly more) books out there about Crystals, with plenty of knowledge and instruction to offer. I have a lot beliefs in common with many of their authors, and a lot of beliefs that differ from them. Instead of outlining either – making claims or accusations – I think the next, best way I can answer the question: “How to Work with Crystals” here, would be to explain how I work with Crystals…what it is that I do…so you can see the breadth of possibility from the perspective of somebody who’s been thinking about, and working with Crystals on the daily (for a looong time). SO WHAT DO YOU DO, ANYWAY? Basically, I have two approaches to working with Crystals. 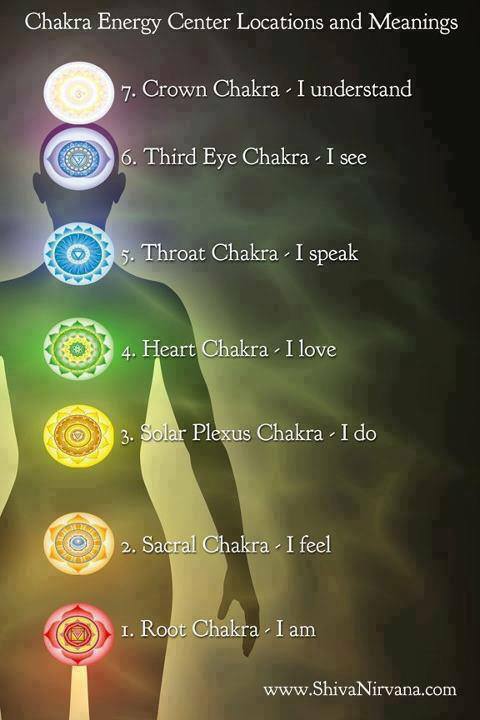 One, is through my healing modality: teaching, sharing, and applying my knowledge. That is what I call Crystal Concentrics. You can find out more at CrystalConcentrics.com (my main site) and over at one of my Facebook pages: http://www.Facebook.com/CrystalConcentric (that’s singular, there’s no ’s’ at the end). I’ve accrued more than 10,000 “Likes” there. I feature my personal pieces, not-necessarily-sales-oriented posts, and house all my Facebook Event pages over there. 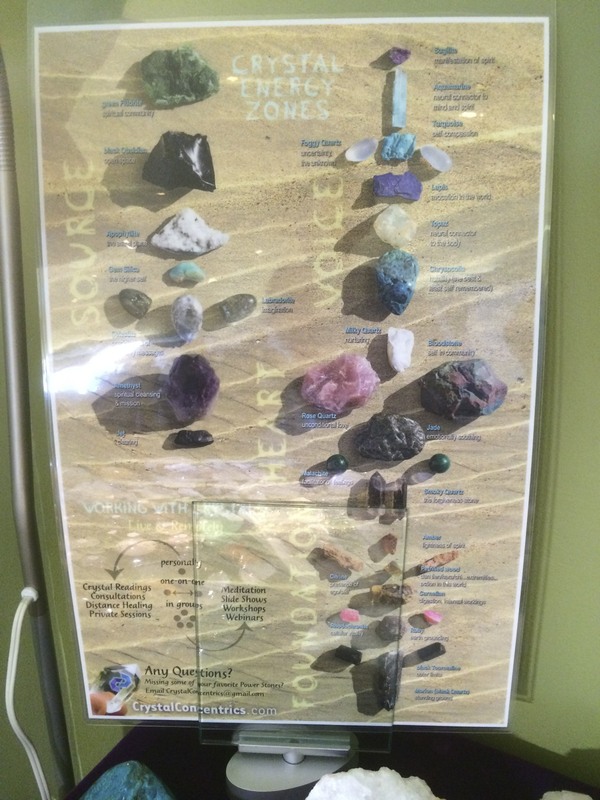 I also have created a large laminate poster of the Human “Crystal Energy Zones” – which identifies the 29 key stones with immediate relevance to our Chakra system. In follow up to this, I am working on a deck of Crystal Cards, which will cover even more varieties, and be an excellent teaching tool. Ultimately, I have a few books on the back burner, which will tie together a lot of the concepts outlined in my Blogs (including this one!). 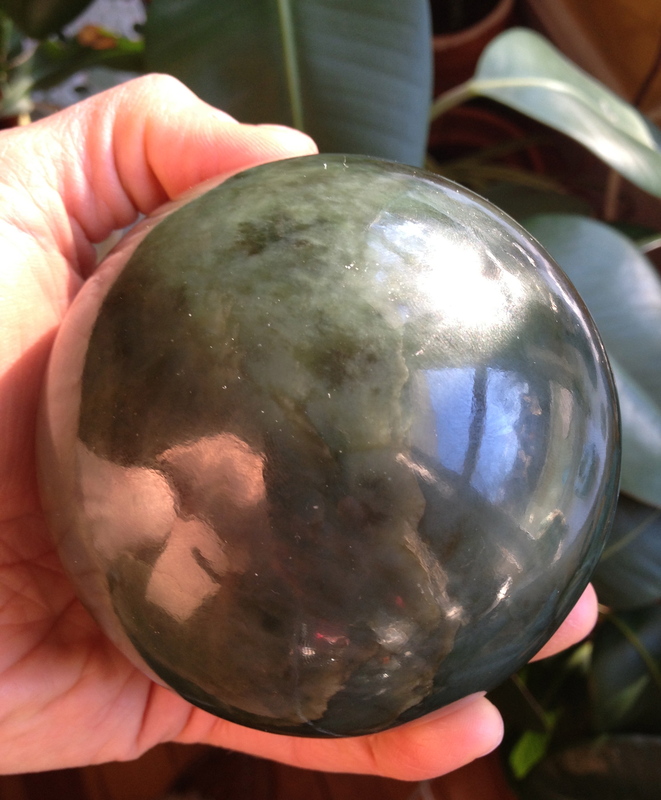 I acquire and sell Crystals through my Power Stone Crystals persona, which you can check out in one of 3 places. Online, there’s my main sales site: www.PowerStoneCrystals.com. And there’s the semi-matching sister page (thought not all the same items will appear on both): http://www.Facebook.com/PowerStoneCrystals. I have 31,000+ Fans on the latter. 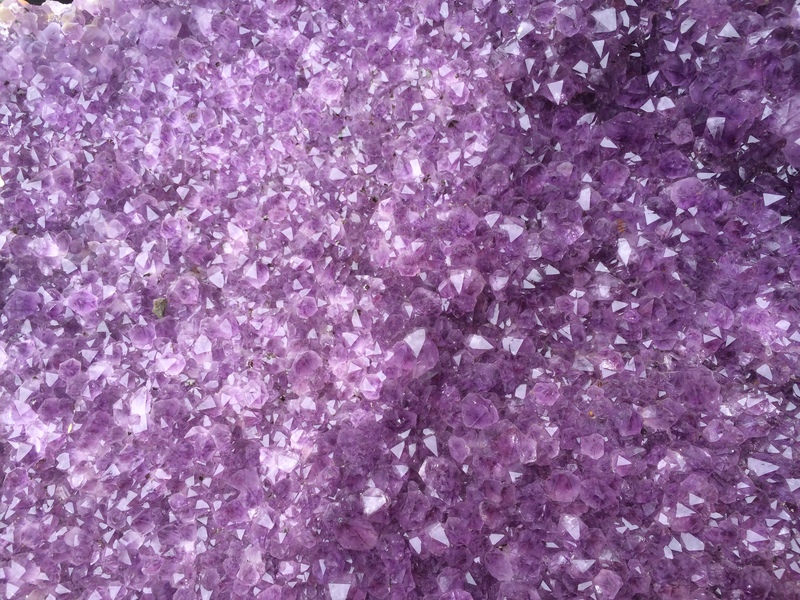 The relatively higher following (compared with the Crystal Concentrics page, on Facebook), has to do with how I promoted each, way back when, and people’s penchant for appreciating or buying crystals over really understanding how to work with them. Ultimately – the best way to see everything I’ve got available – is in person…either at my Boston area showroom…or at one of the metaphysical Expos I have scheduled throughout the year, in New York, and also in New England. I do plan on making it to other regions – and have some pending opportunities – I’d certainly appreciate your invitation! Why is it that folks spend many, many times more on buying Crystals than they do on learning about them, or receiving the services of practitioners? That would be due to the fact that it’s much easier to acquire the tools than to master (or even engage) the trade. When you see something beautiful – and it has a price tag on it – you tend to go for it. 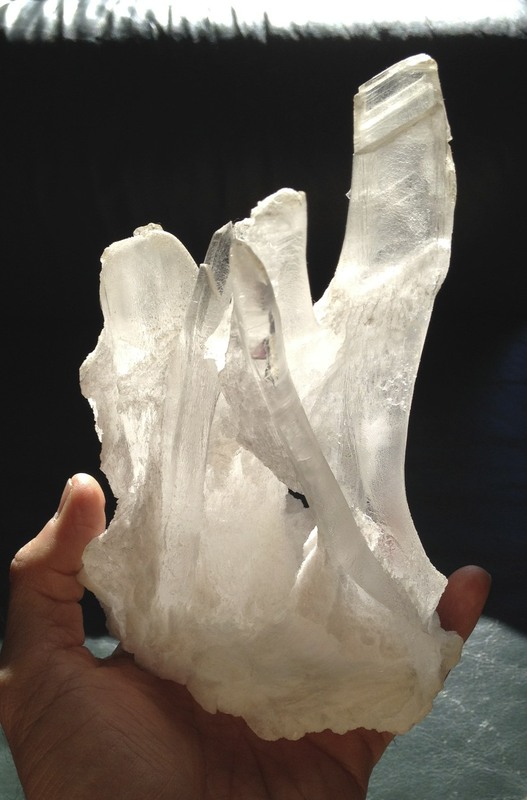 That client’s question – earlier mentioned – demonstrates that we as practitioners, have a ways to go in terms of making our art as easily understood and “consumable” as the Crystals themselves have been. Imagine, if you will – someone buying all kinds of expensive plumbing equipment – but never learning how to use it. Fortunately – or maybe because they’re that much more beautiful than plumbing equipment – people are way more inclined to buy Crystals than they are to truly study them, or be taught by any experts in the field. Granted, Crystal experts are not to be found on every corner. Books, fortunately, are (to be found more readily) – but unfortunately (to my mind) – many of them are spreading much misinformation. Luckily, because we’re all so unique, each effort to shed light on the “magic” of Crystals – succeeds in quite different ways – and there’s something out there for every level of interest and capacity to absorb information. And – failing to look into them more deeply – there’s always the beauty…the awe…of a wonderfully majestic creation, dating back millions of years, which will outlast us, and taps into our archetypal perceptions of color and form. 1) The Slide Show, Talk, or Presentation is more like a lecture, but a fascinating one (to be sure). Two examples of my offerings are “A Pinterest Tour” of my 60-odd boards, by which I’ve classified thousands of museum quality images; and “Where the Earth Meets Sky: from the rocky landscape of the Galapagos to the mountain spiritual center of Machu Picchu.” These can be delivered live, or virtually, and make for ideal webinars (hint, hint: keep an eye out for them). 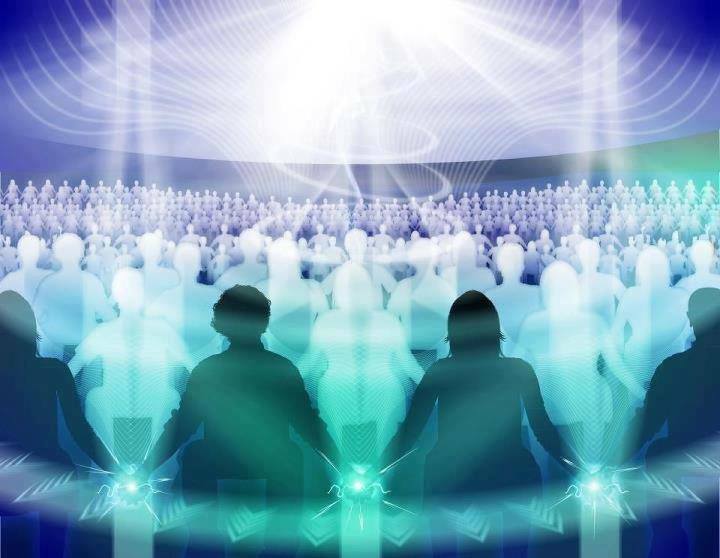 2) The Crystal Meditation is a gathering of individuals, ready to step out of the ordinary, and join a guided journey, as well to join in to group sharing. It is split into 3 segments. The first is a rooting into ones own biological, emotional presence (without stones). 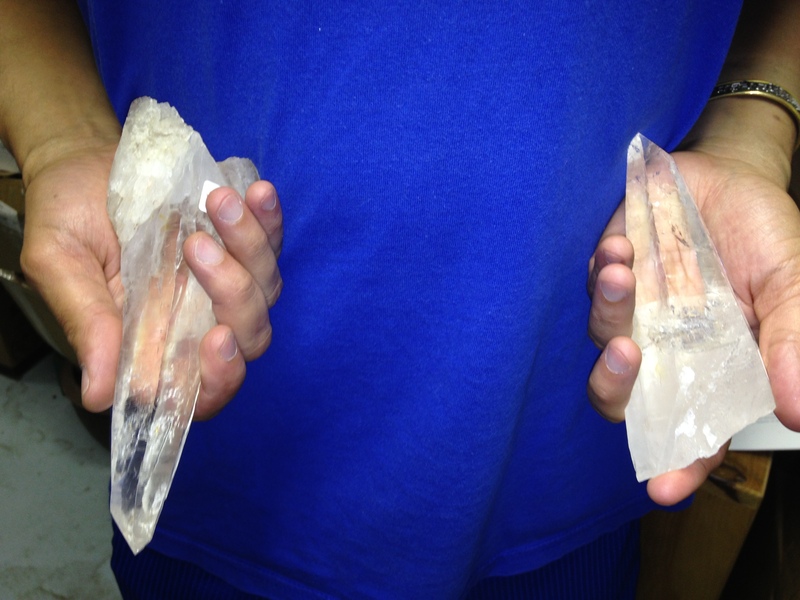 The followup introduction of Crystals to the hands will show how different this practice is from “normal” contemplation. Crystals act as a sort of touchstone, or lightning rod…aligning the astral, the physical/ephemeral, and the earth-foundation/constant together. Lastly evoked are layouts, connecting the group with the larger continuity and cosmology of time and space. Between each of the 3 Meditations, we go around and speak our truth in the moment. I offer this content (and many more topics), both live and online. My growing library of webinars makes it so that wherever you are, we can explore, and work together in building our knowledge of Crystals. 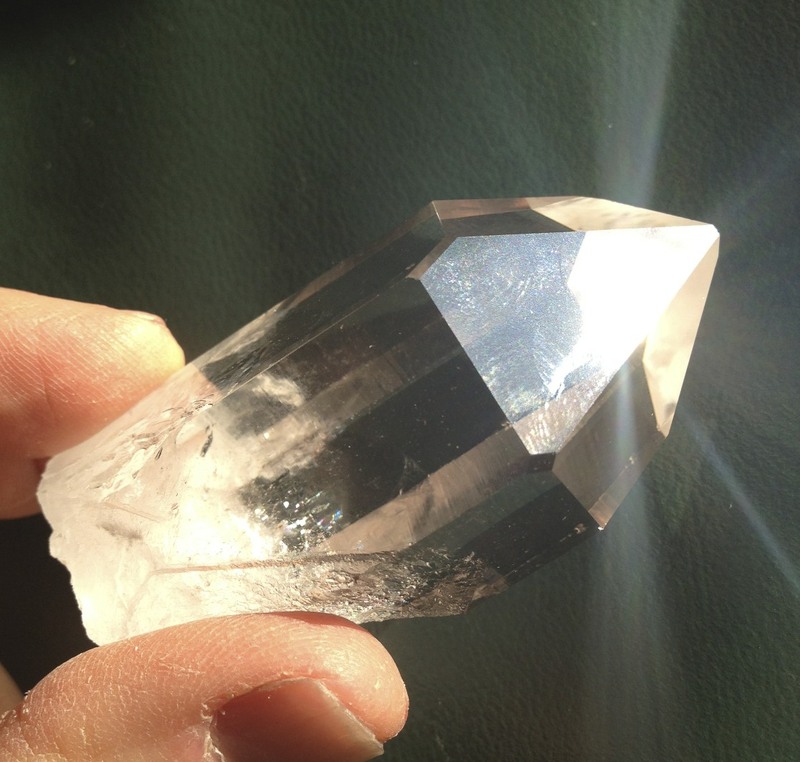 4) The Crystal Reading, is a gateway into your own personal situation. It’s not a Psychic Reading, whereby your hidden present, past, or future are spontaneously (or laboriously) revealed by a clairvoyant. Instead, it’s a straightforward inquiry, by which you answer questions regarding where your Spirit finds itself right now, and we discuss what hopes it (your Soul) and you have, regarding your next steps – or what directions (or needs) you might be looking to explore – to “get to the next level” in your personal development. This can be a one time thing – conducted live or long distance – or part of a larger “treatment plan” of ongoing sessions. 5) The One-on-One, Individual Sessions are a series (generally starting with 4 meetings), that focus exclusively on you. There’s no group, it’s not a sample or glimpse, it’s an in depth exploration – using Crystals and sacred space (where we set up safety and security) – to be in (and allow) the presence of your Spirit to come out (not physically, but metaphorically), to be seen and contemplated. Whether your mission is to embody: to be more present, grounded, and connected positively in your life; or whether transcendence, journeying, and other dimensional travel is your yen…that will be our mission. I’ve used this work to exorcise and put unwelcome entities to rest – identify and remove major blockages – and simply for rebalancing and invigorating folks who want to feel better in themselves. 6) Self-Care and Development. Here’s where we come full circle, back to my self, and your self, solo. How can we use Crystals on our own? Let me count the ways – because there is so much is to be learned and implemented – from all the approaches above. – Projection and Prayer (this can also be done in groups). It is seeking to materialize health or better luck & circumstance for oneself, or others. This can be an advanced practice…but can also be done by children. Anyone can learn, try, or experiment…engaging in this vitally needed activity. – Charity (and Repair of the World): doing any or all of the above, for others (and Nature) who are in so much in need…is a must. The sick and the dying, the passed on, and the suffering. We live in a world that is comprised of both Heaven and Hell, mixed in varying proportions (depending on where you find yourself, and whose life you happen to be living). Aging, entropy, unfairness, and Evil are all factors – as well as Beauty and Grace, Benevolence and Compassion – which we are tasked to identify and work with and balance, as constructively as we are able. 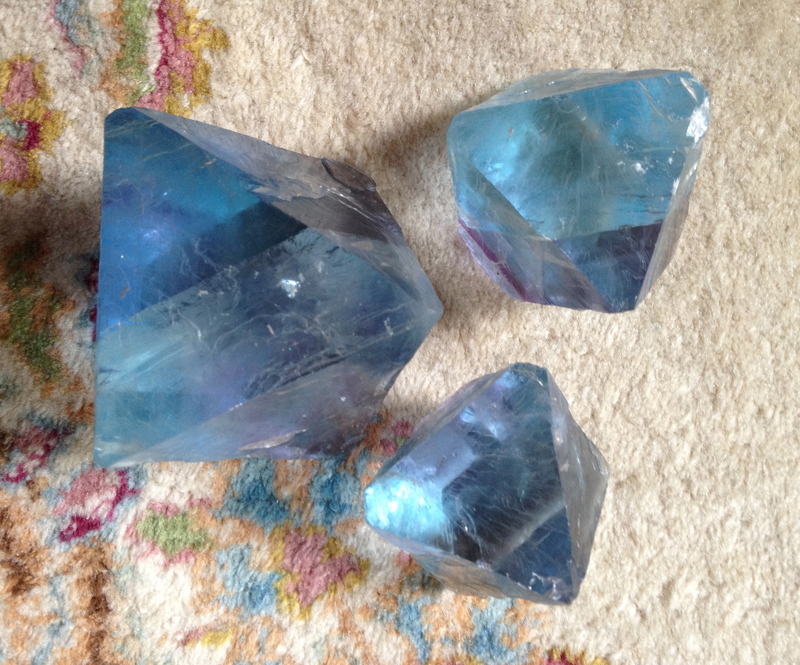 Whether you’re devoutly practicing a religion or not; believe in a higher power – The Force or whatever – working with Crystals can certainly tap you into The Divine. Polytheists, Pagans, Animists – we’re all aware of greater powers in our midst – and that we ourselves are formidable forces (for good or ill). Even negligence is a force to contend with. It’s all about tapping into the Energy that’s all around (and within!). Working with it, running with it, taming and shaping it – or resisting and avoiding it – these are factors we need to grapple with. I believe that for all the complexity and wonder of the physical world – there is an equal and “opposite” (or simultaneous) “dream time,” or metaphysical world – and that is the one that Crystals both tap into, and straddle, bringing into being what was not previously manifest (and projecting the manifest back over, beyond “the veil”). Ultimately, these are rocks – objects – quite plain and permanent. It’s really a trip. “How to Work with Crystals” is really an exercise in playing with the constant and the mutable, the “objective” and the relative. Now have I thoroughly confused matters? Has my argument become too long in the tooth? Astrophysicists have found that the more we know – the more we want to (and don’t) know. Learning will never die, there is always more to explore. Why should this be any different. Every field has its limits, or its next frontier. And every modality has its merit, too. I would never propose to devalue complementary (or even opposing) practices. Every approach to healing is worthy of exploration. 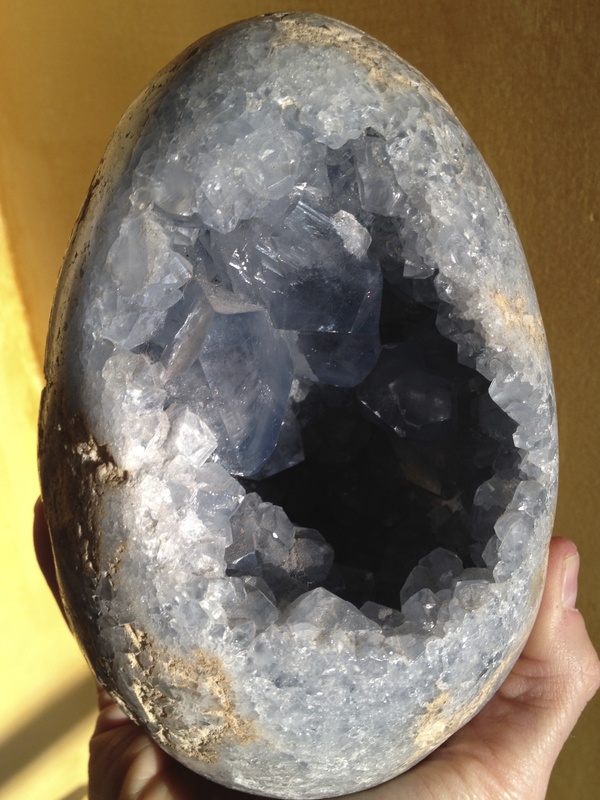 I personally connect uniquely (and primarily) with the Crystals, which have led me on this ongoing journey of discovery and sharing. 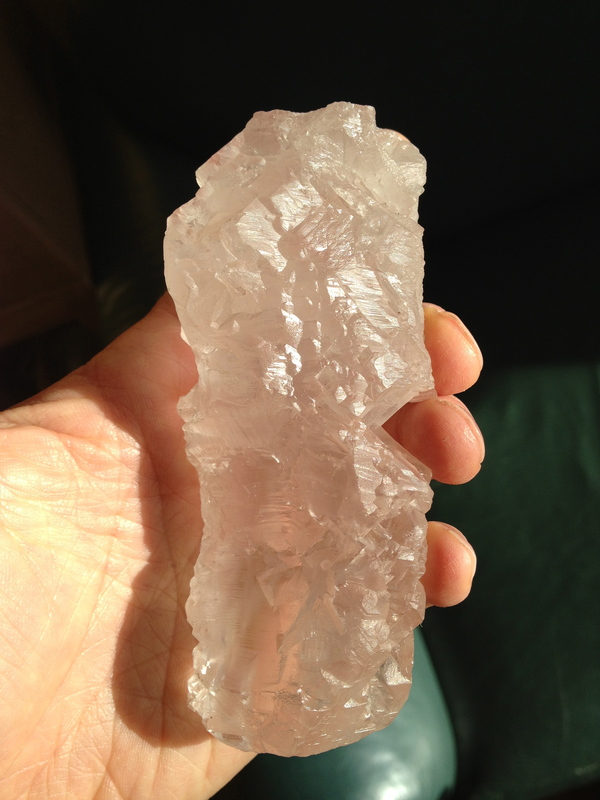 I hope you now feel more informed on “How to Work with Crystals” – my having outlined both how we can engage them (through “the circuit”) – and how I have created a spread of curriculum…teaching through the written word and images, as well as the engagement of groups and individuals…each method taking on a different form and delivering a new dynamic to the process. 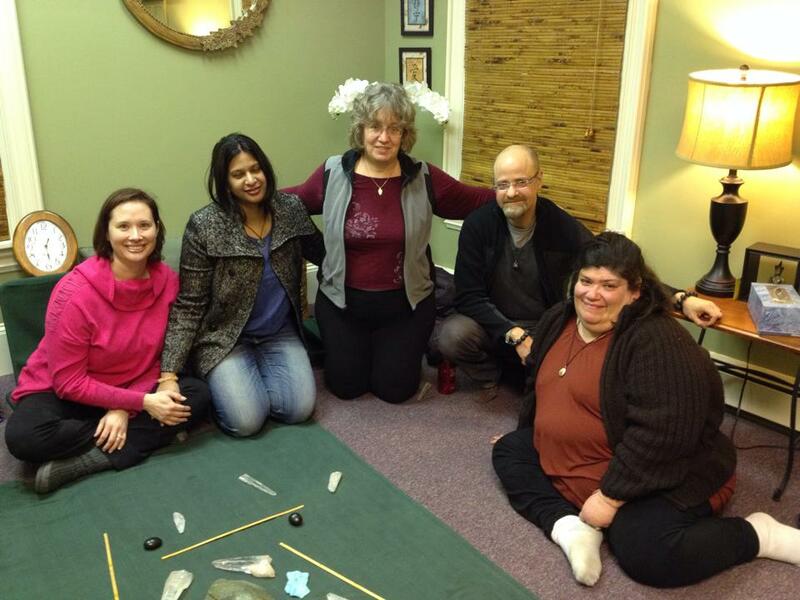 The webinar of this name “How to Work with Crystals” is more improvisational – it was recorded live – and I say things that don’t appear here. Likewise, points are made “on paper” that are not covered in person. So it really behooves you to experience both – as my written personality is different than my spoken self – and all my “incarnations:” the Presentation, the Meditation, the Workshop, the Webinar, Individual Sessions, Prayer & Charity, as well as Solo Time have unique contributions to make to our overall understanding and process. 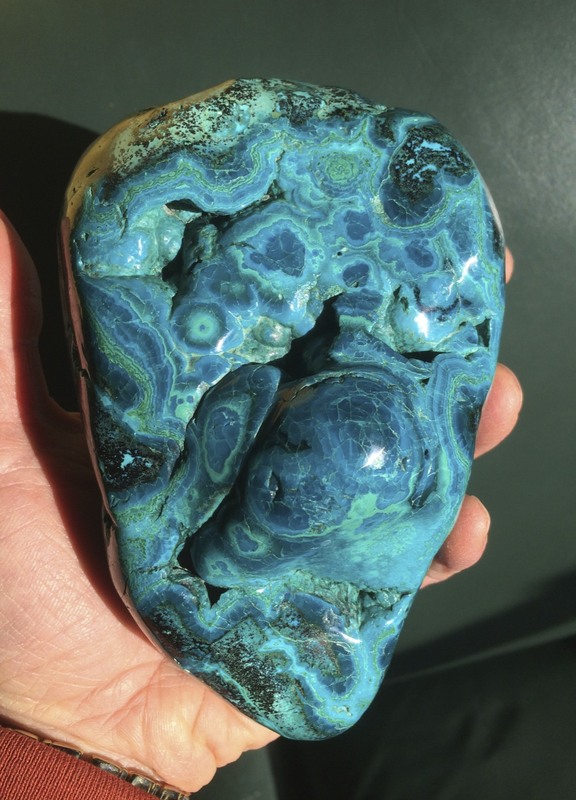 About the Author: Kyle Russell has been working with Crystals for 27 years. 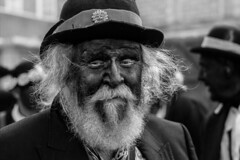 Although he’s been collecting and working with people throughout that time period, the past few years have seen a resurgence of primary attention being devoted to this cause. 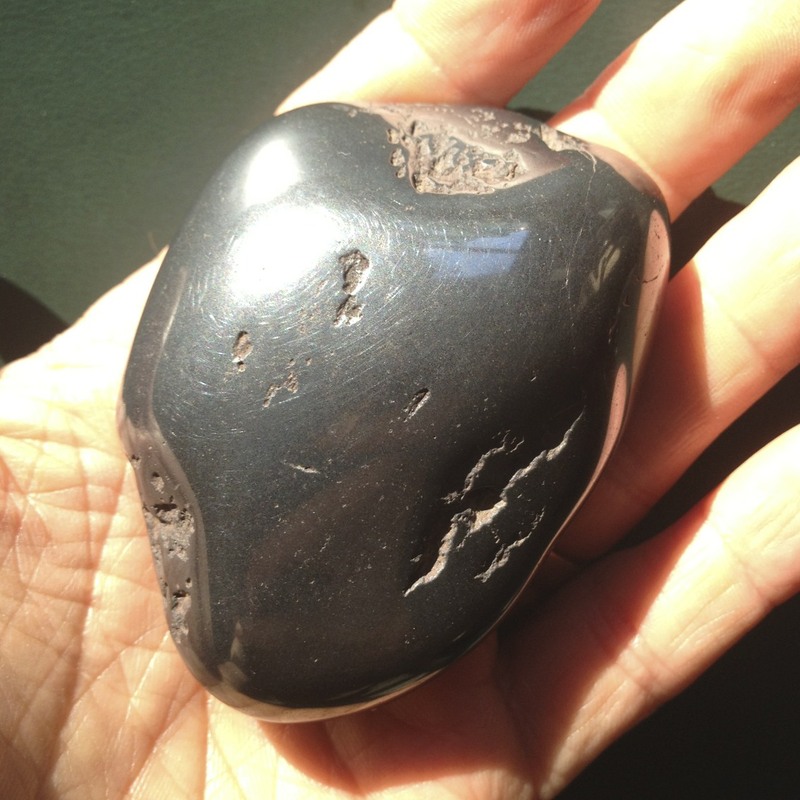 The reason is that he feels he has something unique to contribute – not only in terms of content, conceptually – but physically, in terms of delivering outstanding power stones to the community. It’s a holistic endeavor, and complements his personal choices around health and wellness, as well as maintaining his own well being (he survived Cancer, twice). Please don’t hesitate to be in touch at CrystalConcentrics@gmail.com, with any questions, or to followup, with feedback.